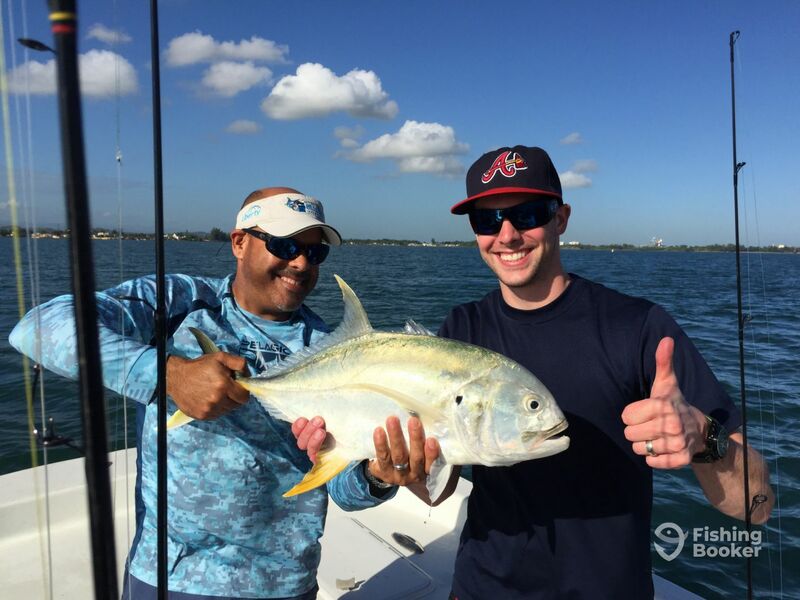 February 05, 2015 by Luis Umpierre Jr. and Luis Umpierre Sr.
Congratulations to the Thompson crew from Utah for accomplishing a San Juan Bay GRAND SLAM with Captain luis burgos from Bayside Fishing Charters. It all started as soon as their cruise ship docked. 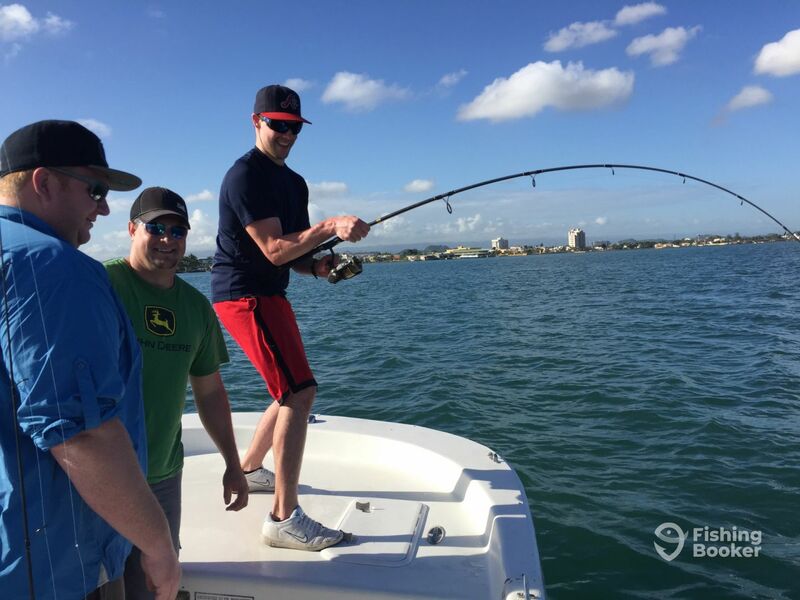 Under a crystal clear morning, with excelent bay conditions, we headed straight to a very productive spot with a baitwell full of big Greenies and at first cast we where welcome with a good Tarpon. 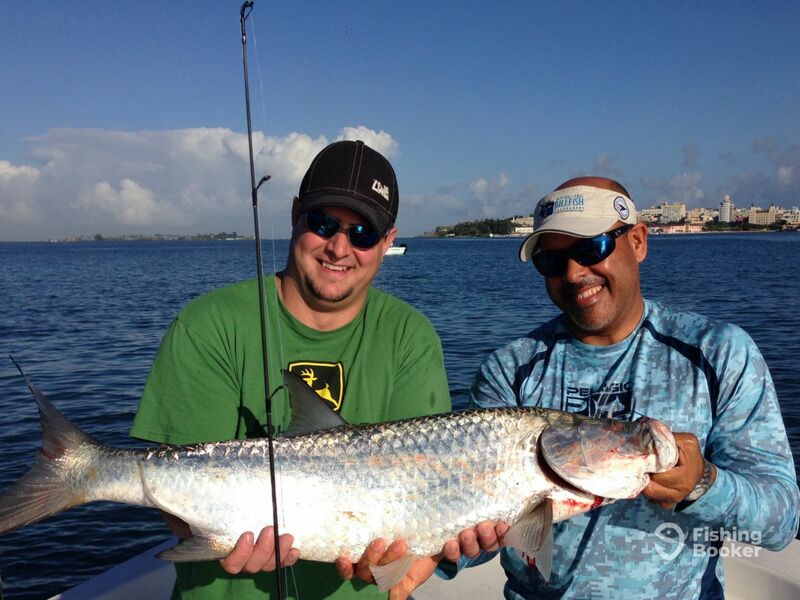 Then a 15 lbs Jack Crevalle cruched one of the Sardines giving Andy the fish fight of his life. Finally we made a stop at another location to catch and release over 15 bottom fish, which one of them turned to be a King Mackerel (last cast) wich completed a great 4 hour day of fishing with a Grand Slam. Grateful for giving us the opportunity to serve and very happy to know that they will be able to share this lifetime and special moments with family and friends.